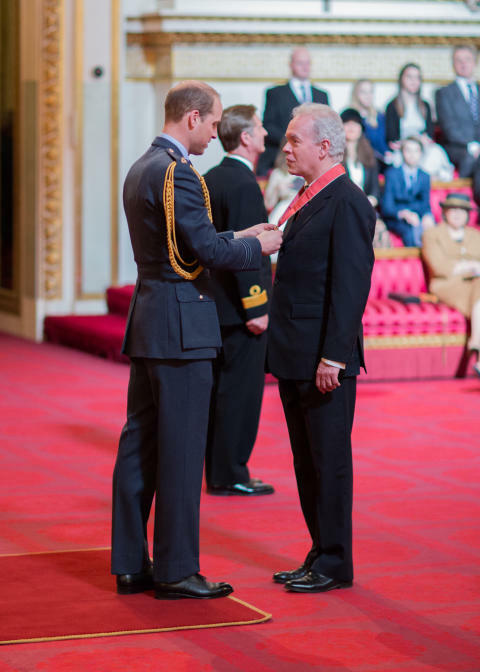 The Vice-Chancellor and Chief Executive of Northumbria University, Newcastle, Professor Andrew Wathey, has today received the award of Commander of the British Empire (CBE) at an investiture ceremony performed by Prince William in Buckingham Palace. He was recognised in the New Year 2016 Honours List for his services to Higher Education. Born in Plymouth, Professor Wathey graduated in Music from the University of Oxford, where, in 1987, he also took his doctorate. 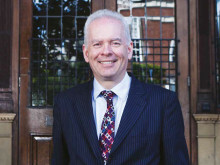 He held posts at Oxford and Cambridge before moving to Royal Holloway University of London in 1989, where he was appointed Professor of Music History in 1999, Vice-Principal in 2003 and subsequently Senior Vice-Principal. 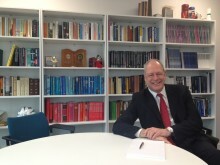 Professor Wathey was appointed Vice-Chancellor of Northumbria University in 2008. Under his leadership Northumbria has transformed its research standing, its appeal to highly-qualified students, its contribution through partnerships to regional economic, social and cultural development, and its national and international prominence. Since his arrival, Northumbria has more than doubled its research capacity, moving from 80th to 50th in the Research Excellence Framework’s research power ranking – the largest rise of any UK university. At the same time the number of highly-qualified students choosing to come to Northumbria has increased by over 50% and the University is now the top post-1992 institution for entry standards according toThe Sunday Times Good University Guide. There have been numerous other successes. 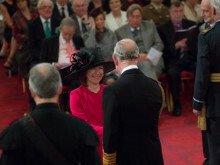 The University was awarded the Queen’s Anniversary Prize for Higher Education in 2013 for the outstanding community and pro-bono work of its Student Law Office. The following year Northumbria became the first (and so far the only) university in Europe to achieve double accreditation in Business and Accounting from the Association to Advance Collegiate Business Schools (AACSB), putting its Business School in the world’s top 1%. And in November, Newcastle Business School won Business School of the Year in the prestigious Times Higher Education (THE) Annual Awards. 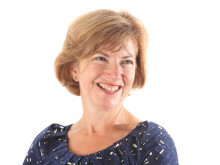 Professor Wathey has also led continued growth in the University’s global activity, including new joint venture campus developments in Indonesia and London. Regionally, he has been a strong advocate for partnership and collaboration, driving the University’s economic, social and cultural contribution to the North East. He is an elected Member of the Confederation of British Industry Regional Council, and a Governor of Newcastle Hospitals NHS Foundation Trust. 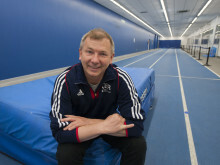 He also serves on the Boards of the BALTIC Centre for Contemporary Arts and the NewcastleGateshead Initiative. Professor Wathey also serves on a number of national bodies and committees. 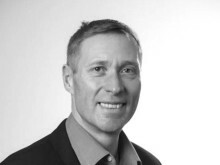 He chairs the Student Loans Company Stakeholder Forum, and is a Board member of the Leadership Foundation for Higher Education, and of the Quality Assurance Agency, and is a member of the Council of the All Party Parliamentary Universities Group.